Reacting to investigations that have followed the administration of former Governor Mike Easley, the North Carolina legislature recently passed a sweeping package of ethics reform. The text of the bill was passed in the waning hours of the General Assembly. 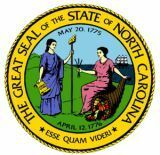 Specifically, the new legislation strengthens fines for illegal campaign contributions, which were reportedly not uncommon in the Tarheel state due to weak penalties. Additionally, the legislation subjects board and commission members, as well as state employees, to more robust disclosure requirements. 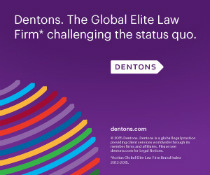 As is typical in the area of ethics reform, all areas have been subjects of contention in recent North Carolina ethics investigations. Notably, the legislation did not include “pay to play” provisions, which were advocated for by some in North Carolina. Rather, the legislation establishes a commission to study whether pay-to-play legislation is needed in North Carolina, as well as the scope of any such provisions. Given the political climate in North Carolina at this juncture, and the likelihood that investigations will continue in the ethics realm, it is likely that the North Carolina legislature will readdress the issue in 2011. Of course, we at the pay-to-play law blog will continue to monitor the developments on the ground in Raleigh.